Do the capabilities of displaying market information services match your users’ requirements — and vice versa? Are these services ‘must have’ for a variety of user processes or are users merely monitoring markets? User Profiling from Screen Consultants enables market data administrators, analysts, procurement teams and business managers to easily evaluate user and desk profiles. Effective market data management starts with knowing your user base! Profiling can help financial institutions manage their market data costs and gain greater control by challenging market data requests and reducing market data vendor dependencies. Procurement teams aim to benefit from profiles during their negotiations with vendors where market data analysts tend to use these profiles in their demand discussions with end users. 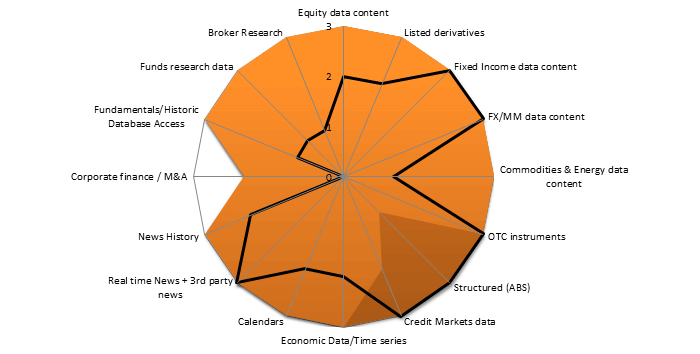 Market data user profiling visualizes data needs and challenges misconceptions and preconceptions around market data services. It also advises on alternative services which may not have previously been considered. Ready to challenge market data requests and reduce vendor dependencies? Learn how to easily evaluate user and desk profiles. The advantage of a profiling exercise is that it very quickly delivers impartial results and confronts users immediately with their level of sophistication by which they make use of the services on their desk.